Animal health product manufacturers conduct extensive safety review studies before they approach government for a license to sell a product. 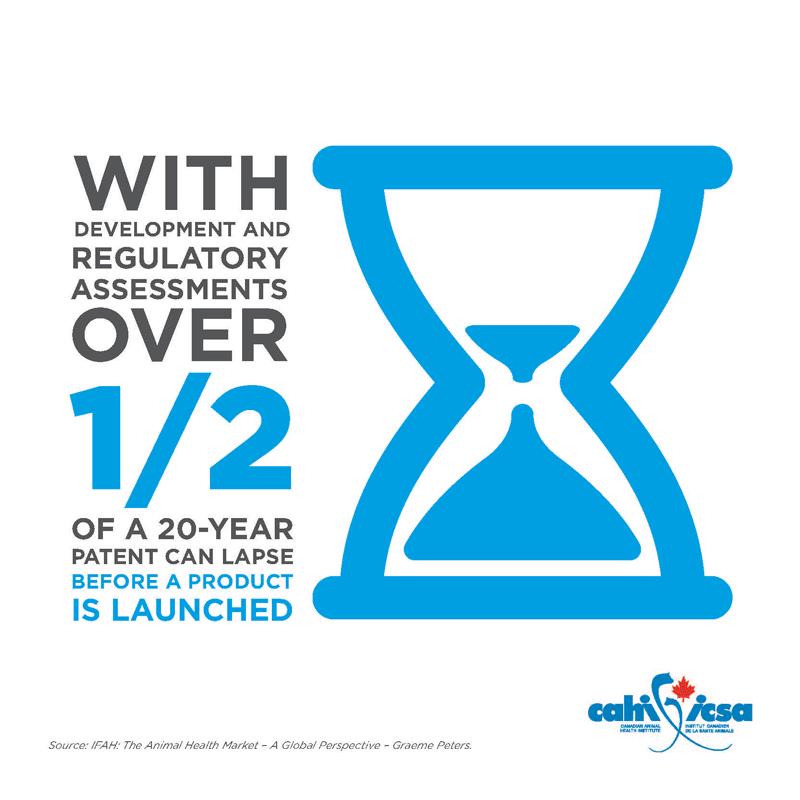 Health Canada or the Canadian Food Inspection Agency scientists review the required scientific data sets and a product will only be approved for sale once they are satisfied the data shows it is safe. These pre-market safety assessments continue however, once a product is approved. Manufacturers have veterinarians on staff responsible for ‘pharmacovigilence’ or adverse reactions. This is a continual dialogue between animal owners, veterinarians, the pharmaceutical industry and government regulators to monitor if a product acts in a way that was unanticipated. Canadians enjoy a safe and abundant food supply. To help ensure this continued safety, animal medications undergo rigourous pre-market assessments by the Health Canada. Farmers work with their veterinarian to establish herd or flock health programs to ensure the proper use of these medications and to ensure no medications are still in an animal’s system at the time of marketing. At the processing plant, the Canadian Food Inspection Agency (CFIA) inspects animals for good health and monitors meat products for medication residues to ensure safe food. Large fines can be placed upon farmers who sell animals with residues in their meat, milk or eggs. A Maximum Residue Limit or MRL has been established for all veterinary drugs, based on a precautionary approach. MRLs are legal thresholds outlining the maximum allowable level of residue in a food animal product. The Canadian Food Inspection Agency (CFIA) randomly tests samples of meat, milk and eggs to ensure that if food from treated animals contains any residue, that it falls below the MRL. An MRL is often thousands of times lower than the level at which a medicine would have an impact on human health. 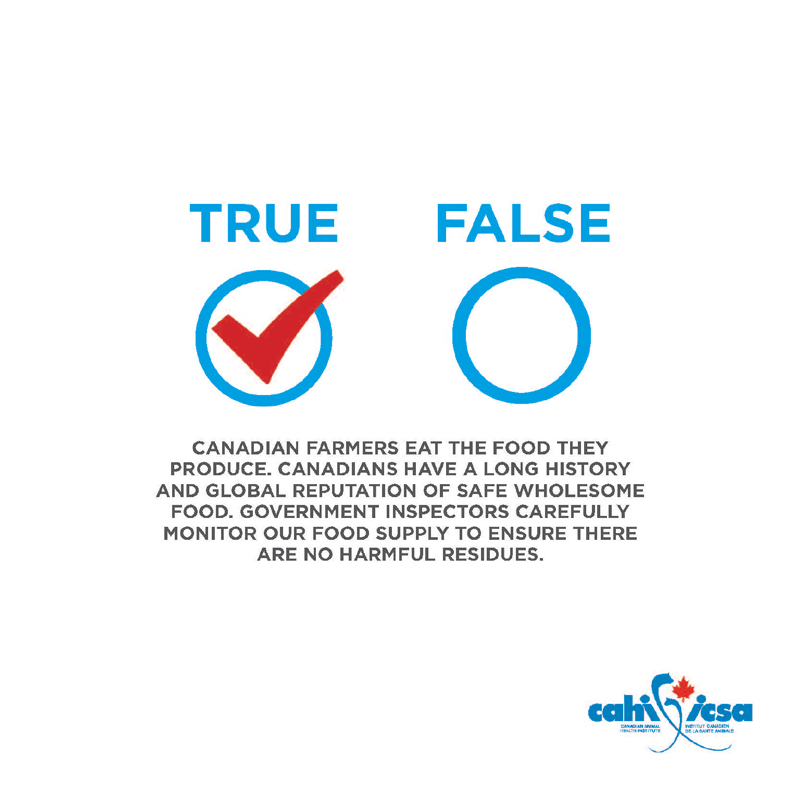 CFIA does not allow a product with a residue above the established MRL to enter the food chain. If below the MRL, there is no harm in consuming the product.